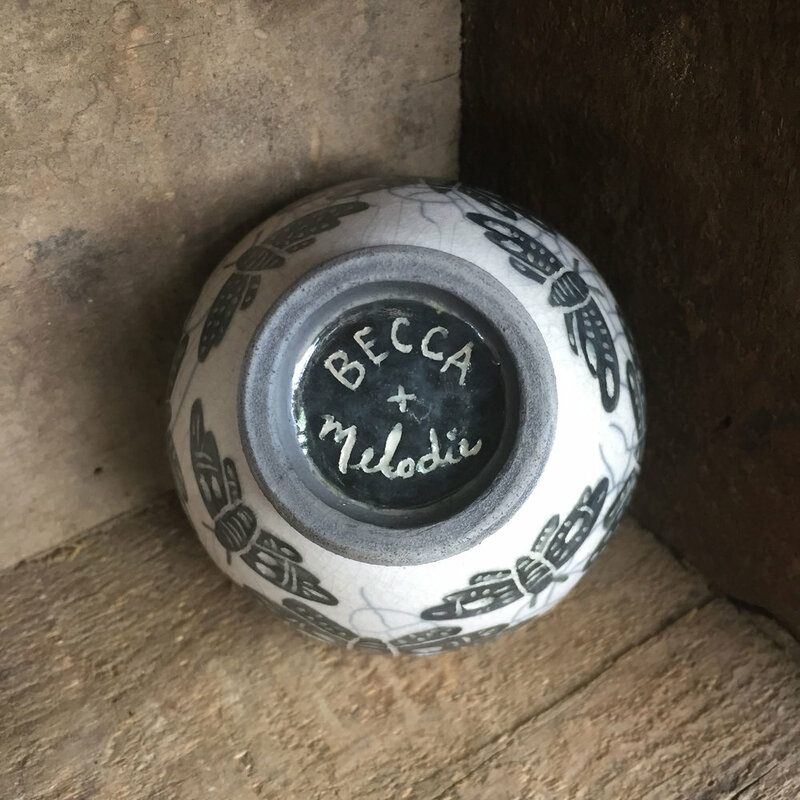 When the artists' co-op that Melodie and Becca belong to issued a collaboration challenge, they made a beeline for each other. They had long admired each other's work from afar, so decided to create a piece that merged their unique styles. Melodie created one of her signature small-scale curved forms which Becca painted using her sgraffito technique. They fired the pot together using the raku technique to create Like A Moth To A Flame, a one-of-a-kind piece that both Melodie and Becca feel is only the beginning of the work they'll do together.